The student entrepreneurship and innovation culture at The Ohio State University is beginning to flourish, and four undergrads want to ensure that momentum is maintained. Liyang Feng, Juan Tramontin, George Valcarcel and Kai Vogeler have been named University Innovation Fellows, a highly-selective program that empowers student change-agents to increase campus engagement with innovation, entrepreneurship, creativity and design thinking. They are part of a cohort of 258 students from 64 schools in 9 countries. (l to r) Advisor Peter Rogers, Liyang Feng, Juan Tramontin, George Valcarcel, Kai Vogeler and advisor Jay SayreFeng is a computer science and engineering major, Valcarcel an industrial systems engineering major, Vogeler a mechanical engineering major and Tramontin is a logistics management student with an engineering minor. Each is enrolled in Ohio State’s Integrated Business and Engineering honors program. At the beginning of the school year, they launched a new organization, Interdisciplinary Resource for Innovative Students (IRIS), where students come together to ideate and prototype solutions to everyday problems. University Innovation Fellows (UIF) at each school work to ensure that their peers gain the knowledge, skills and attitudes required to compete in the economy of the future and make a positive impact on the world. To accomplish this, Fellows advocate for lasting institutional change and create opportunities for students to engage with innovation, entrepreneurship, design thinking and creativity at their schools. The program is run by Stanford University’s Hasso Plattner Institute of Design (d.school). Valcarcel said the group’s first focus is to formalize the UIF program at Ohio State, working with faculty and administrators to ensure Ohio State students participate every year. Simultaneously they are auditing the university’s existing open collaboration spaces and innovation labs across campus with the intent of creating a network of such locations and recommending additional resources. 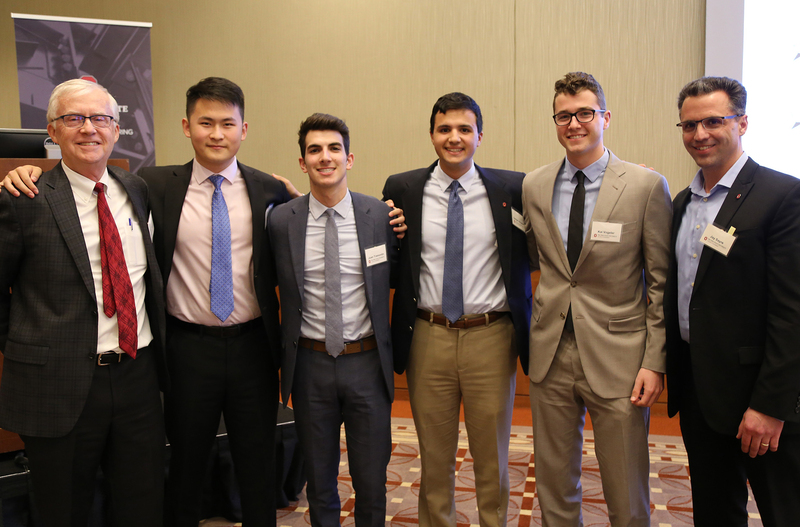 This week, the four entrepreneurial-minded Buckeyes are participating in the Silicon Valley Meetup, where all new UIF inductees will connect and build on lessons from the online training. Fellows receive year-round mentorship and represent the program and their schools at national conferences and events. Engineering Education Professor Peter Rogers and Institute of Materials Research Director of Innovation Jay Sayre serve as faculty advisors. Sayre will accompany them on the California trip, during which they also have planned visits with active alumni.